Giving your Christmas party a theme can help set a festive mood and get everyone into the holiday spirit. Themes provide structure for holiday gatherings and enhance the fun of spending time with your family eating Christmas dinner and opening presents. When choosing a theme for your next Christmas party, consider what your family will enjoy and how a particular theme can help make their holiday memorable. One of the most popular Christmas recipe swap parties is the cookie recipe swap. 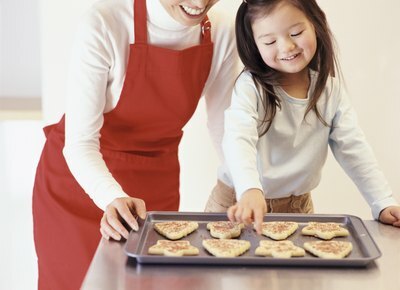 Family members can bring samples of their favorite recipes for butter cookies, sugar cookies, chocolate espresso cookies and other goodies for everyone to try. Family gatherings are ideal for recipe swaps because there are plenty of people to eat all the food and share cooking stories. It's also a good idea for each individual bringing a recipe and sample to make several photocopies of the recipe so that everyone can save time on writing down multiple recipes. Hosting a scrapbooking party for Christmas is an ideal way to bring family together to reminisce and celebrate holiday memories. Each family member can bring photos from previous Christmas gatherings to add to the new family scrapbook and swap stories about what made those moments memorable. 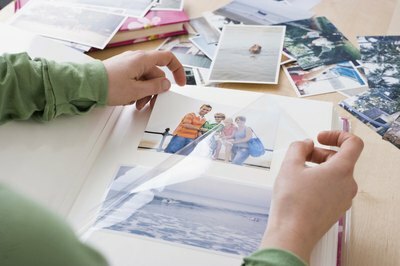 When putting the final scrapbook together, you can order the photos in a variety of ways including chronologically or by themes like dinner photos and pictures of children opening presents. Decorate the margins of each page with appropriate cut-out images like Christmas trees and snowmen. The white elephant gift exchange is a lighthearted Christmas party favorite as well as an excuse to unload unwanted gifts or give out gag gifts. Establish a theme for your white elephant swap like Christmas ornaments or underwear and set a firm dollar limit (no more than $10 per gift) because the point is to have fun, not spend a lot of money. Everyone who wants to participate must contribute a gift, and guests play the game like Dirty Santa where they swap, steal and reclaim gifts over the course of three rounds.